Mercia 10 x 8 Premium Shiplap Dutch Barn Double Door: The Mercia Dutch Barn is an attractive and premium outdoor building with a spacious interior ideal for larger garden areas. The 10 x 8 Dutch Barn could be used for storing garden equipment, as a work area, or a garden retreat. 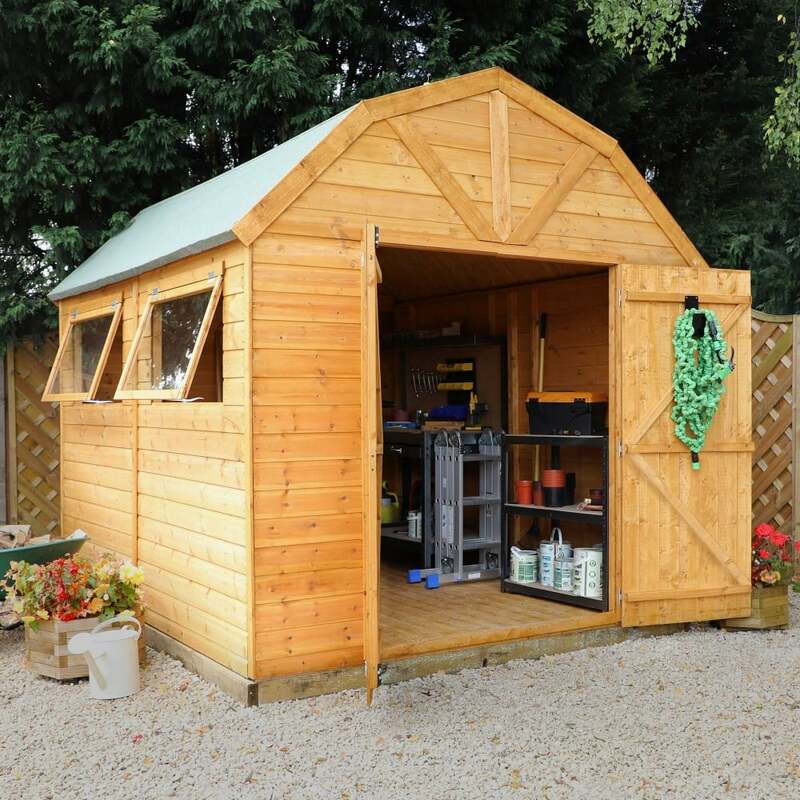 The Mercia apex garden shed features 12mm shiplap roof and floor made from high quality tongue and groove timber cladding, ensuring the building is long lasting and prevents water leaking inside the building. The stylish 10 x 8 Dutch Barn includes two opening styrene glazed windows with casement stays to keep the window propped open when in use. The premium Mercia shed comes with a 10 year anti rot manufacturer’s warranty.